This is a unique opportunity to combine the love of horses with the joy of boating. With this 5 acre horse farm and a deeded boat slip at the end of the street. House & garage were not damaged by Hurricane Florence. Access to Broad Creek with 4'-5' water depth. The barn has 3 stalls, w/tack room and drive-in hay storage. There is plenty of cleared sunny areas for a hobby farm w/board fence, fish stocked pond where the horses can drink 24x48 barn and 12x24 workshop. 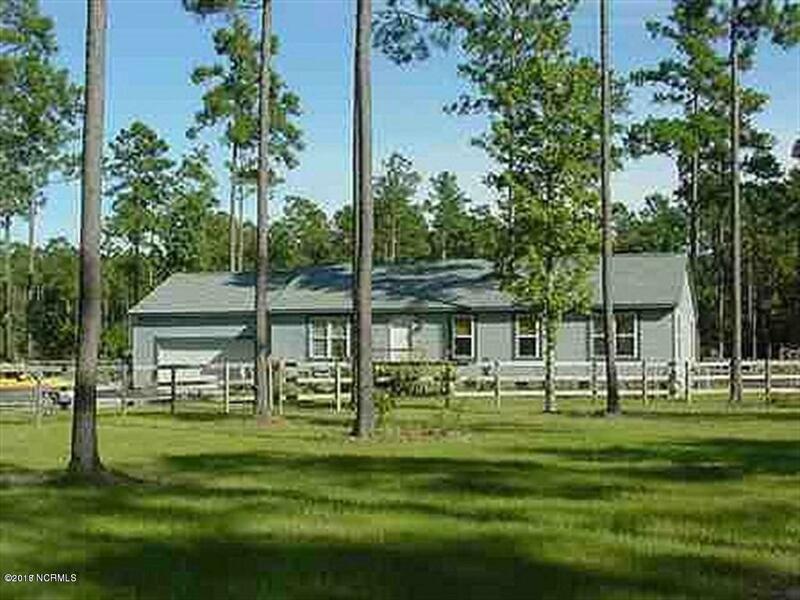 The home is a 3 bedroom, 2 bath home with 2 car garage and covered deck.This is a unique opportunity in an HOA to have water access and horses on the property. Perfect for gardening or nature enthusiast. Owner has a $5000 allowance for paint & carpet.Recent price reduction! MUST SEE AT THIS PRICE!